(this is a repost from a few years ago; I thought it was a bit of ‘cheek’ for a Friday)! Reminders………………Ah yes, those little words and phrases to keep us on track, to put us back on track, and sometimes to help us realize where we came from. Oh, and how far we’ve come! Take a look at this little beauty. 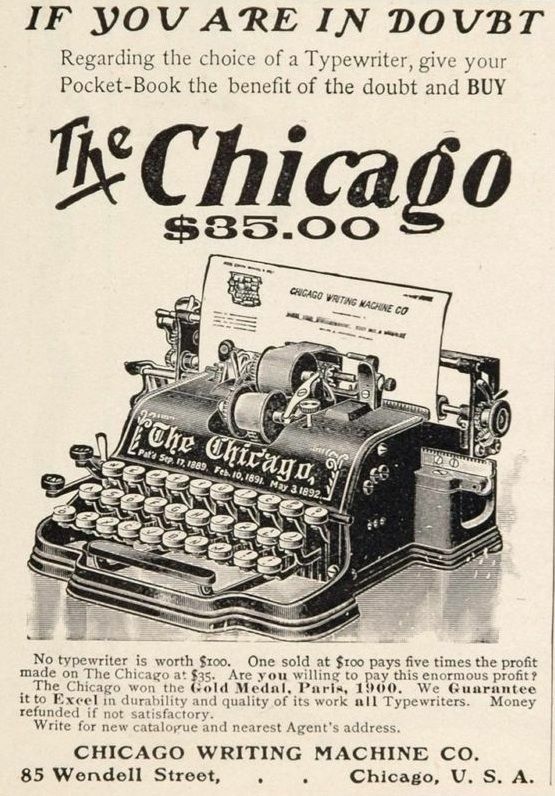 “The Chicago Model 1” in the above photo was manufactured by the The Chicago Writing Machine Company from 1889-1917. For a whopping 35 bucks you could clickety-clack, tap, tap, tap to your heart’s content on this clever console. You never, EVER have to change the ribbon! Ta da! Wow! 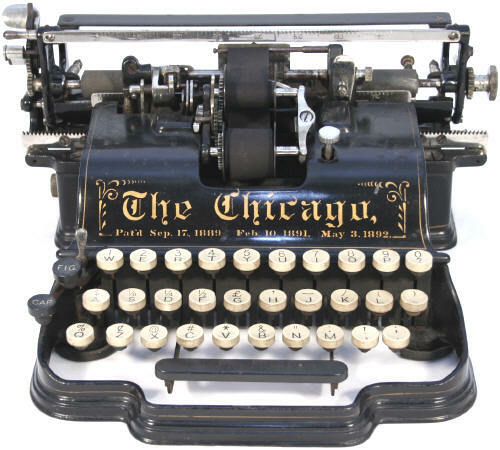 Memories of grade 9 typing class, but we had them thar lectric ones! The ribbons were a nightmare, black everywhere! 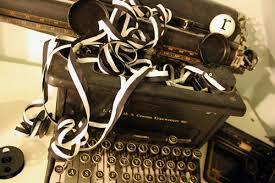 Remember carbon paper & Britannica & the Telex machines! Those were simpler times , my dear!